This article was originally published on WHAS-11 on July 28, 2018. 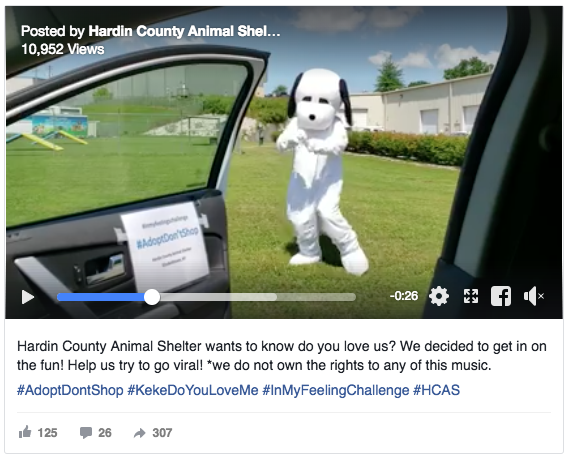 Hardin County, KY - It&apos;s no secret that the #InMyFeelings dance challenge has taken the world by storm. This video was posted on the Hardin County Animal Shelter - Elizabethtown, Kentucky Facebook page. So far it has been viewed over 6,600 times and shared over 220 times.